The Minsk talks recalled the 2016 agreement. The trilateral contact group on a Donbas settlement has ready a preliminary agreement on the disengagement of forces near Stanytsya Luhanska. "On condition that the ceasefire holds, forces and hardware can be withdrawn from Stanytsya Luhanska on 5 March 2018 in accordance with the respective framework decision of the trilateral contact group," Darka Olifer, press secretary of Ukrainian negotiator Leonid Kuchma, said on Facebook. Back in the autumn of 2016, the trial contact group signed an agreement on the disengagement of troops and hardware near three population centres on the line of contact – Petrovske, Zolote and Stanytsya Luhanska. The forces have to withdraw 1 km from the line under the framework agreement. The disengagement took place near Zolote on 1 October and Petrovske on 7 October. 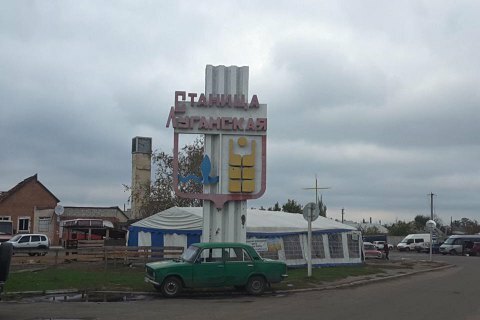 The withdrawal of forces from Stanytsya Luhanska repeatedly failed.